The Fukushima disaster continues to appear in national newspapers when there is another leakage of radiation-contaminated water, evacuation designations are changed, or major compensation issues arise and so remains far from over. However, after five years, attention and research towards the disaster seems to have waned despite the extent and significance of the disaster that remains. The aftermath of Fukushima exposed a number of shortcomings in nuclear energy policy and disaster preparedness. This book gives an account of the municipal responses, citizen’s responses, and coping attempts, before, during, and after the Fukushima crisis. It focuses on the background of the Fukushima disaster, from the Tohoku earthquake to diffusion on radioactive material and risk miscommunication. 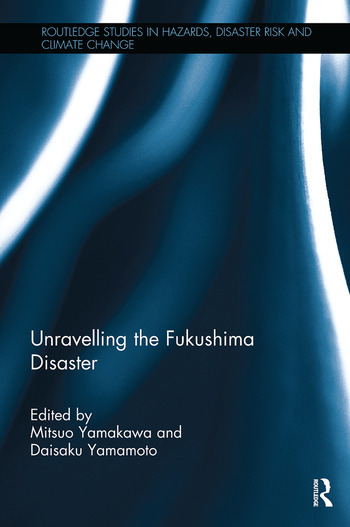 It explores the processes and politics of radiation contamination, and the conditions and challenges that the disaster evacuees have faced, reflecting on the evacuation process, evacuation zoning, and hope in a post-Fukushima environment. The book will be of great interest to students and scholars of disaster management studies and nuclear policy. Mitsuo Yamakawa is Professor of Economic Geography at Teikyo University and Extraordinary Professor of Fukushima Future Center for Regional Revitalization (FURE) at Fukushima University. Daisaku Yamamoto is Associate Professor of Geography and Asian Studies at Colgate University, New York, USA.